Build your own social website with ease! 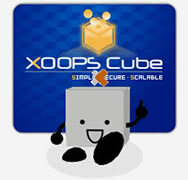 XOOPS Cube is a a free Open Source Web Application Platform released under BSD license and Base Legacy modules released under GPL license. The XOOPS Cube Project is friendly managed, maintained, developed and supported by a volunteer group to expand our network, vision, creativity and skills. Download the last stable release ! Package Legacy is highly compatible with XOOPS 2 empowering everyone to create dynamic and content rich websites with ease. 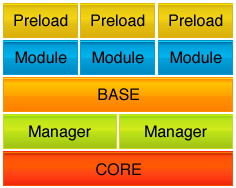 Legacy ensures compatibility with XOOPS 2 modules while taking advantage from the new extendable Cube core. You can add functions to your website by installing modules. We recomend the next-generation of modules : Cube and D3 modules, which are known to be more secure, easily duplicated and renamed with an intuitive GUI to manage content, language catalog and templates. XOOPS Cube functionality can also be easily extended with Preloads - one file based extension.